We already described the course in part on our home page. We are surrounded by two creeks, one of which cuts right through the middle of the course. Most of the greens are less than 20 yards from the woods that border the creeks and the hills surrounding the greens feed right into the woods. The good news is that you are safe if you err to the right side of the greens. The 5th hole requires a shot over the creek but there is an alternative tee on the other side for the faint of heart. Although we are near a busy thoroughfare the course is mostly surrounded by trees and is an escape into nature. The longest hole is under 170 yards and the shortest hole is less than 90 yards. 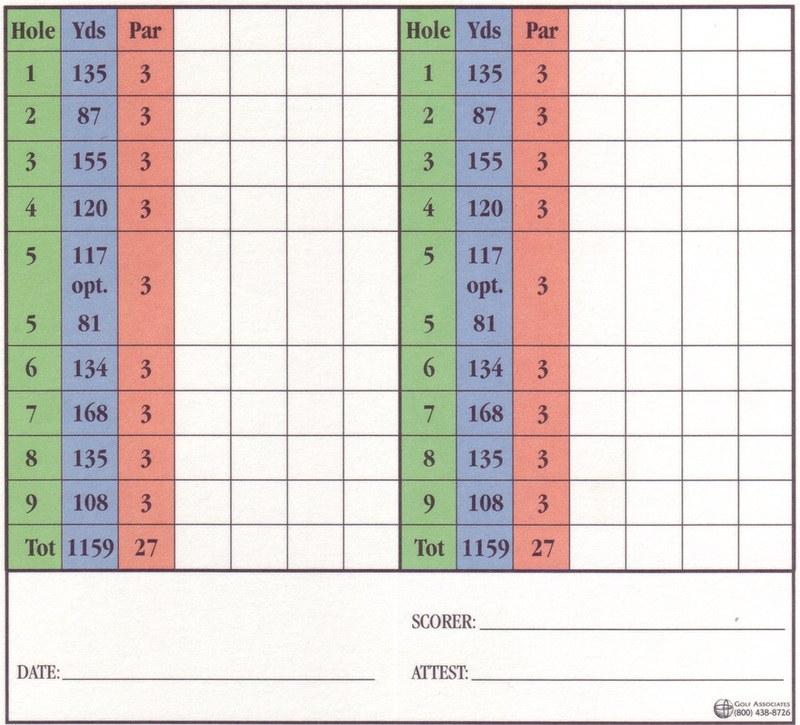 Our score card with a diagram of the course is below.